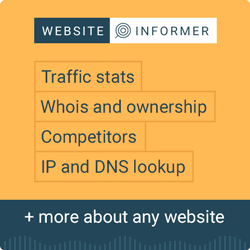 Request an extensive WebCreator market report. This report shows the usage statistics and market share data of WebCreator version 5 on the web. See technologies overview for explanations on the methodologies used in the surveys. Our reports are updated daily. WebCreator version 5 is used by less than 0.1% of all the websites whose content management system we know. The diagram shows the percentage of websites using WebCreator version 5 as content management system. WebCreator is used by less than 0.1% of all the websites. Version 5 is used by less than 0.1% of all the websites. This diagram shows the percentages of websites using various subversions of WebCreator 5. Version 5.2 is used by 72.0% of all the websites who use WebCreator version 5. Get a notification when a top site starts using WebCreator. WebCreator is a website editor running on Windows by LMSOFT.